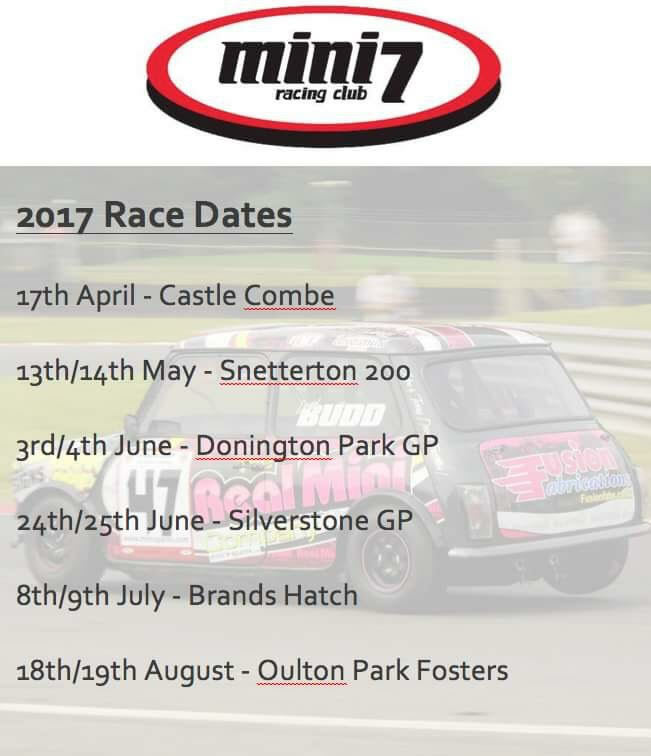 Race dates for the 2017 Dunlop Mini Miglia/Seven race calendar have now been released. If any Real Mini Customer or followers would like to come along as our guests and watch us racing, we'd love to have you trackside. The Brands Hatch meeting is a Mini festival and brilliant for the genuine Mini enthusiast. For advance tickets, simply contact us and we'll help you out.